I was never the best at eating at meal times when I was younger but since having kids my eating habits have got worse. There are days when I reach what should be dinner time and realise that I am yet to eat breakfast or lunch. Time always gets away from me and either end up with something cold on my plate because I've got distracted doing something else or if I am honest, after cooking food for the kids and my husband, I am left not wanting to make anything else, just seems too much of an effort. I was recently asked if I would like to review Naanster. So just what are Naansters? The packaging itself appeals, bright colours catch your eye and then in the corner it says, "microwaves in 90 secs, the fastest indian". To cook, simply pierce the packaging a few times, pop in your microwave for 90 seconds and then leave to cool for 1 minute, easy peasy!! Now the clever part, the packaging which surrounds the Naanster is designed so that it can kept on the bread as you eat, stopping you from a) getting messy b) getting burnt as it comes out hot from the microwave. I would describe Naansters as the Indian version of a Cornish pasty. 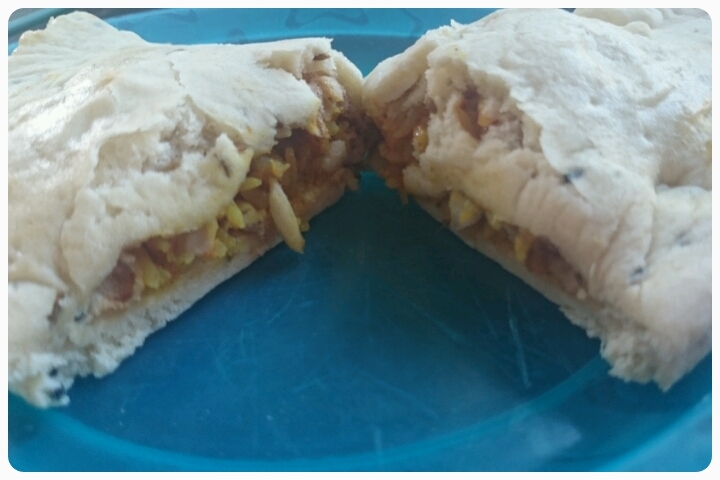 Instead of pastry, you have a naan bread and inside it just gets better. Filled pilau rice, mango chutney and the filling you've chosen, it is like you are getting a complete meal, the only thing I was missing was the popadom. And the added bonus, even though there seemed to be a lot of filling, the Naanster has an awful lot less calories than those sausage rolls and pasties that I would normally reach for, meaning they won't go ruining the diet!! My girls and I all had a taste and had to agree they were delicious. Packed full of flavour, you could taste all the spices that had been mixed in but it wasn't too hot, infact for myself I would have been happy if there was hotter one available. My only real complaint was that the naan bread seemed a little dry on the ends where there was no filling. Overall a really handy snack that is not only perfect for those workers on their lunch breaks but ideal for busy mums and dads too. 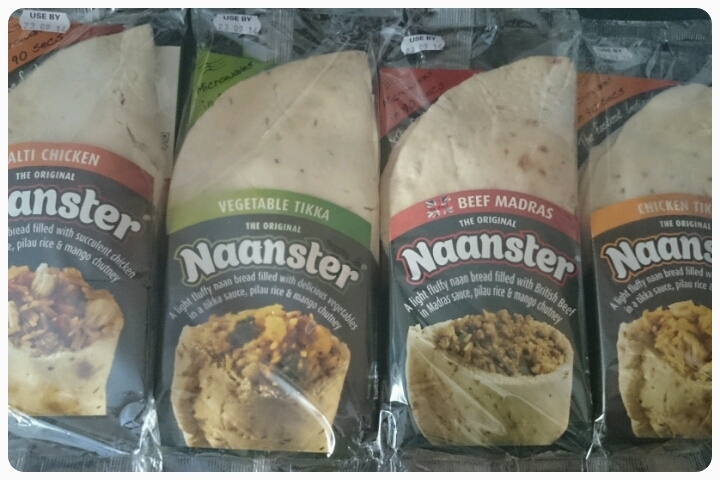 Priced at £2.00 each, if you fancied a taste, you can find Naansters in a variety of high street stores including Costcutter and McColls. Disclaimer : I was sent these snacks FOC for reviewing purposes however all thoughts and opinions are my own.